Gray-leaf cotoneaster’s striking foliage provides wonderful contrast in low-maintenance landscapes. It looks stunning when combined with bronze, red and orange foliage plants. Its tough nature allows for plantings in xeriscapes, medians/highways, or low-water urban gardens. The small grey and slightly pubescent leaves form on somewhat arching branches. This dense evergreen shrub has a very natural form that creates a beautiful backdrop for native plantings. Though most beautiful in its natural form, it can also be hedged. Small white flowers form in clusters along the branches in the spring and are loved by bees and butterflies. The flowers are followed by bright red to orange berries that gives winter and early spring interest and provide a source of food for birds. Cotoneaster does best when grown in full sun but can tolerate open light shade. This shrub will typically grow in poor soils but needs good drainage. 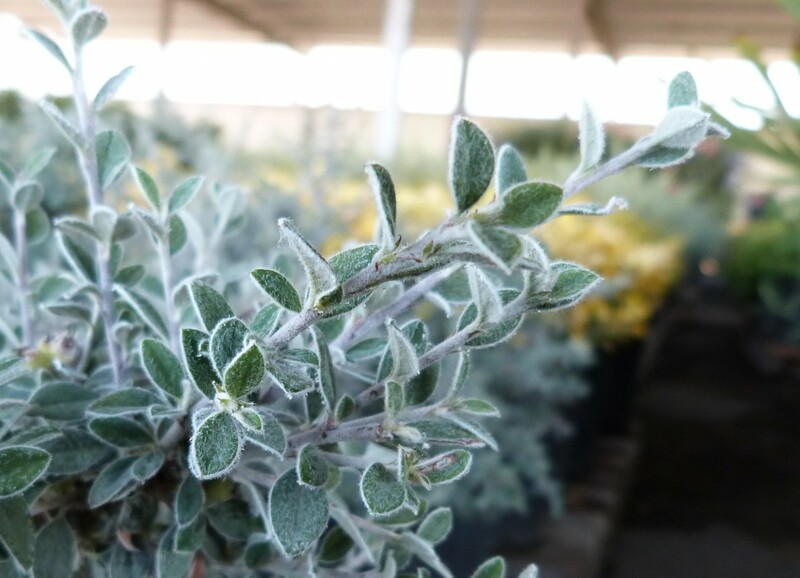 Though this shrub is very drought tolerant once established it can tolerate moderate watering to support other nearby plants. Plants grow wider than they do tall with a mounding shape, so be sure to provide adequate room for them to spread out.